Explore wine and all its varieties from your own home. If the idea of fermenting grapes from scratch sounds intimidating, it shouldn’t. One needn’t be a hobby sommelier in order to reap the rewards of making wine at home. 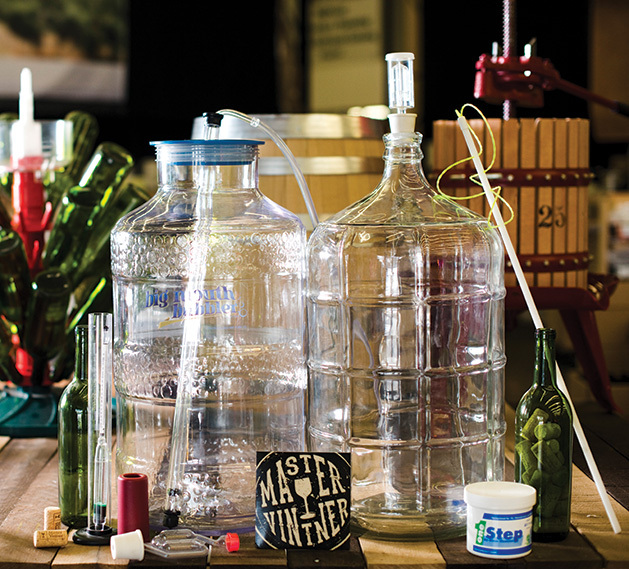 “They’re fairly easy to make,” says Deanna Kepler, a customer service representative and brewmaster at Midwest Supplies, the largest homebrew, winemaking and hydroponic supplier in the Twin Cities. Kepler herself has been a hobby wine and cidermaker for close to four years and says that winemaking is a fun hobby anyone can pick up with ease. For the uninitiated, wine is made by adhering to the following steps: combine concentrated fruit juice with water and yeast. After fermenting, the wine is then clarified and degassed and transferred to a bottle to begin a longer fermenting process—this is where the idea of aging wine comes in. Once it’s gotten this far, the rest of the journey is all up to personal preference of the winemaker. While it’s recommended that red wines sit for close to six months, most white wines can be enjoyed right away. Some winemakers enjoy sampling the fruits of their labor as soon as possible, while others like giving their bottles the chance to age and caramelize. With homemade wine, the possibilities and variations are endless. “As long as you have good fruit, you should be good,” Kepler says. For those tempted to start right away, there’s no need to scavenge your own berries—Midwest Supplies sells starter kits for those just getting their feet wet. The kits come stocked with all the equipment necessary for fermenting, siphoning, and bottling and corking the wine, as well as fruit juice concentrates that are prepackaged and ready for use. “The more juice, a fuller body a wine will have,” Kepler says, suggesting beginners start out with a wine kit before moving on to creating their own concentrates from their fruit of choice. Kepler notes that home vintners shouldn’t feel tied to the traditional grape, and can venture out to experiment with all kinds of produce, including but not limited to peaches, strawberries, rhubarb, beets and even tomatoes. Hudson began making homemade wine when he was in high school (before the legal drinking age was raised to 21). His mother had brought him home a starter kit with a can of cherries, a yeast packet, and instructions on how to get started. 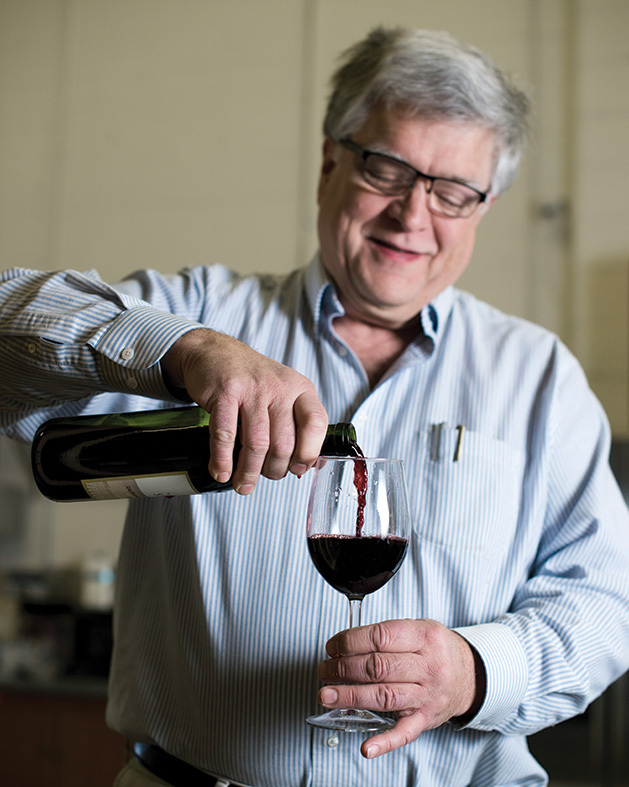 “Most of the wines I made were probably pretty terrible,” Hudson says with a laugh, reminiscing about the small, one gallon batches he would make when first starting out. Since his days experimenting with different wine recipes in his teens, Hudson has found his passion for home winemaking reignited, producing batches of wine that are much more sophisticated and robust than the ones he made during his high school days.